Understanding Jesus, Faith, and the Victorious Life You Can Live Now! This comforting revelation of biblical truths ushers you into a deeper relationship with God, kills every fear in your future, transforms your prayer life, inspires you to be confident in the face of challenges, and emboldens you for every good work. • How to access redemption power through Jesus. • The powerlessness of satan over your destiny. • Jesus’ eternal priesthood and your eternal salva-tion. • How to shut every gate satan has opened into your life. • Using the Kingdom keys to appropriate God’s grace for everyday living. • How to make prayer effective and result-orientated. The Love of Father God unveils the heart and the never-ending love of God, the defeat and the fall of satan, and the power and the glory of the Christian faith. As a believer, you are a new creation in Christ Jesus—the wonder of God and the miracle of Heaven. This book solves the mysteries and reveals the benefits of your role in God’s Kingdom. In this deep work, Pastor Musa Bako explores the timeless themes that have attracted considerable attention over time and still agitate our thoughts and spirits even now. The ways of God and the reasons for sickness, tragedy, and death—even in the Body of Christ—are some of the issues examined. Musa Bako looks at types and symbols in the Old Testament and provides lucid illustrations and interpretations in the New. We see the Lord Jesus as the High Priest and symbols portraying His redemptive power from the very beginning of the Bible. If we fail to apply the principles enunciated in this work, we forfeit a great opportunity to unleash the power of choice. 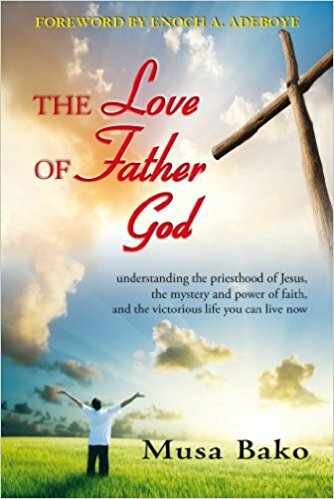 I urge you to please read The Love of Father God and glean the life-changing teachings contained within. You will experience the unconditional love of the Father, learn to maximize the power of choice, and gain a good understanding of the redemptive plan of God for your life. Musa Bako is the senior pastor of Victory Assembly, The Redeemed Christian Church of God, in Sheffield, United Kingdom. Together with his wife, Pastor Eunice Bako, they lead a dynamic, growing multicultural ministry. He is also a zonal coordinator within the RCCG network and a sought-after conference speaker. With more than 20 years in ministry, Pastor Bako has taught the Word of God worldwide. The Bako's are blessed with three children: Dorcas, Melissa, and Jethro.